Metal texture, feel free to use. If you get a chance leave me a comment on what you did with it. I like to see how my work can be used in different pieces of art. *Apologies for the small resolution, this was done years ago when even the best monitors only went up to 1280x1024. As long as I properly credit you, would it be alright for me to change the color of this texture should I use it? . . .And another silver thing! Hello! 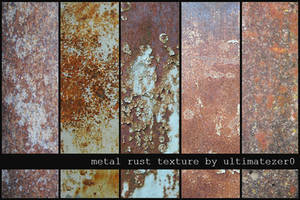 I used this texture to make a product for IMVU. Thank you!I was looking for this for month. Thank you so much for allowing this to be a free texture it is so very helpful. I am using it in an animation I am working on of a little robot in a garage, this is perfect for some of the background objects. I will send you the animation and jpegs of the items I used it on, If this makes it my portfolio credit will be given! Thank you once again! I've used your texture here [link]. Thank you. Wow! This just might be what I needed. Thanks for making this. Thanks you for this texture. I used this texture on the blade of a glaive. Thanks everyone for your comments over the years. I never log onto here so it's great to see this amount of people still using this in their creations! Used as a texture for a 3d model I am working on. Gave you credit. Hello, Metal Texture is about to be used in a small section of a large WonderWare project. The plant operators that are stuck staring at a screen for 8 hours a day will be happy to have some nice graphics. Thank you! I used your wonderful stock for a laptop texture in an illustration of mine. Many thanks! Great job! Used it here [link] to give a little more reality to the blade. love it, thanks! may use it in a personal web design project, I'll bookmark and try to come back here when I'm done to show you what I used it for. I will use in a Flight simulator repiant of American Airline plane.